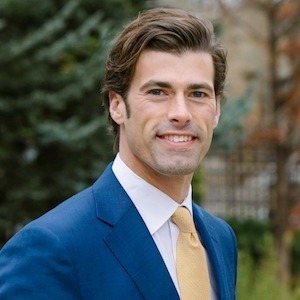 Charlie is in his fifth year in the real estate business, having worked in both leasing and sales on a top team in Chicago, with an additional focus on the North Shore. After attending Carleton College in Northfield, Minnesota, Charlie spent a number of years working as a professional model in cities such as New York, Miami, Los Angeles, Milan, and Cape Town, South Africa. He also spent a year teaching English in China. Shortly after meeting his now wife, Lauren, Charlie got his license and joined forces with Lauren to make real estate a family affair. While he continues to model part time, real estate has become his focus as his career moves into the future. Charlie grew up in Lake Forest and currently lives in Bucktown with his wife and their dog, Cooper. He enjoys such things as home-brewing beer, rock climbing, live music, and leading a healthy active lifestyle.